Speaker, AALS annual meeting, Washington DC, January 1997. Participated in plenary session on affirmative action, discussing class-based affirmative action. Speaker, Institute of Industrial Relations roundtable, UCLA, April 1997. Gave talk on study of LA’s living wage ordinance. Speaker, University of Miami School of Law, February 1998. Gave talk on the causes of housing segregation. Invited seminar presentation, Northwestern University School of Law, September 1998. Gave talk on the “gender gap” in law schools. Speaker, Association of Public Policy and Management (APPAM) annual meeting, New York, October 1998. Presented results HUD-funded study of lending discrimination in Los Angeles. Speaker, Boalt Law School, April 1999. 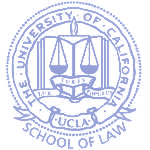 Spoke on student performance in law school, focusing in particular on the effects of the UCLA’s public interest law program on student performance. Presented paper, “The Los Angeles Living Wage: Who Bears the Cost?” at conference on Living Wage Research, University of California, Riverside, April 2003 (coauthor presented paper due to daughter’s birth). Presented paper, “Why Are There So Few Lawyers?” at the Law & Society meetings, June 2003 (co-panelist presented paper due to daughter’s illness). Co-presented paper, “Initial Findings from After the JD” at Legal Education section of the ABA annual meetings, San Francisco, August 2003. Presented paper, “A Systemic Analysis of Affirmative Action in American Law Schools,” UCLA School of Law, November 2003. “Santa Monica’s Minimum Wage: Assessing the Living Wage Movement’s New Frontier” (with E. Douglass Williams), Economic Development Quarterly (forthcoming 2004). “A Computational Framework for the Study of Urban Segregation” (with Darren Schreiber) (submitted to American Journal of Sociology, January 2003). “The Happy Charade: An Empirical Examination of the Third Year of Law School,” (with Mitu Gulati and Bob Sockloskie) 51 Journal of Legal Education 235-66 (2001); republished (with extended footnotes) as Chapter 4 of Sherwyn &Yelnosky, editors, NYU Selected Essays on Labor and Employment Law, volume 2 (2003). “Living Wages and the Problem of Inequality in California,” (with E. Douglass Williams and Michael Blakley), Daniel J.B. Mitchell and Patricia Nomura, eds., California Policy Options 62-83, School of Public Policy and Social Research, UCLA (2001). “Empirically Testing A Computational Model: The Example of Housing Segregation,” (with Darren Schreiber and Joseph Doherty), Proceedings of the University of Chicago Conference on Computational Modeling (2000). “The Tributaries to the River,” 25 Law & Social Inquiry557-63 (2000). “Housing Segregation and Housing Integration: The Diverging Paths of Urban America” Miami Law Rev. (1998). “Comment in Reply,” 47 Journal of Legal Education 512-13 (1997). “Experimenting With Class-Based Affirmative Action,” 47 Journal of Legal Education 472-503 (1997). “The Art and Science of Academic Support,” (with Kristine S. Knaplund) 45 Journal of Legal Education 157-234 (1995). “The ‘Infusion’ Method at UCLA: Teaching Ethics Pervasively,” (with Carrie Menkel-Meadow) 58 Law and Contemporary Problems 129-38 (1995). “Using SAS/PC and SAS/Access-DB2 Interface to the Online Census Databases: An Application to the Legal Profession,” (with Vivian Lew) 18 OAC Perspective 35-44 (1994). Book Review of American Apartheid by Douglas S. Massey & Nancy A. Denton, 44 Journal of Legal Education 143-51 (1994). “The Prospects for ‘Putting America to Work’ in the Inner City,” (with E. Douglass Williams) 81 Georgetown Law Journal 2003-72 (1993). “Elevating the Debate on Lawyers & Economic Growth,” 17 Law & Social Inquiry 659-66 (1992). “A Little Theorizing about the Big Law Firm: Galanter, Palay, and the Economics of Growth,” (with E. Douglass Williams) 17 Law and Social Inquiry 391-414 (1992). “Why Are There So Many Lawyers? Perspectives on a Turbulent Market,” (with E. Douglass Williams) 14 Law and Social Inquiry 431-79 (1989). “Individual Rights and Demographic Realities: The Problem of Fair Housing,” 82 Northwestern University Law Review 874-939 (1988). “After the JD: First Results of a National Study,” Report to the 2003 Annual Meeting of the ABA from the AJD Coordinating Committee, August 2003 (with Ronit Dinovitzer, Bryant Garth, Paula Patton, Joyce Sterling, and Gita Wilder). “Why Are There So Few Lawyers?” (draft presented at the Law and Society annual meetings, June 2003). “The Los Angeles Living Wage: Who Bears the Cost?” (with E. Douglass Williams) (draft circulated and presented at conference, April 2003). “Through the Gender Gap” (work in progress with Kris Knaplund and Kit Winter). “Class in American Law Schools” (work in progress). The Economic and Distributional Consequences of the Santa Monica Minimum Wage Ordinance (with Joseph Doherty and E. Douglass Williams), published by the Employment Policies Institute (2002). (Available at http://www.epionline.org/study_Sander_10-2002.html). Fair Housing in Oxnard: An Assessment of Conditions in 2001, commissioned and published by the City of Oxnard, 2002. Fair Housing in Santa Clara County: An Assessment of Conditions and Programs, 2000-2002, commissioned and published by the County of Santa Clara and six cities in Santa Clara County, 2002. An Economic Analysis of the Proposed Santa Monica Living Wage (with E. Douglass Williams and Joseph Doherty, published by the Empirical Research Group, September 2000. The Cost of Living for Garment Workers in Los Angeles County (with Joe Doherty), published by Empirical Research Group, October 1999. An Empirical Analysis of the Proposed Los Angeles Living Wage Ordinance, (with E. Douglass Williams) commissioned and published by the City of Los Angeles (January 1997). Fair Housing in Los Angeles County: An Assessment of Progress and Challenges, 1970-1995, commissioned by the City and County of Los Angeles (1996). The Future of Uptown-Edgewater: An In-Depth Look at Neighborhood Change (Chicago: Organization for the North East, 1985). Process for a Housing Policy: A Report to the Mayor of Chicago (Contributing writer and participant on the Chicago Mayoral Transition Team) (1983). Evaluation of the Illinois Neighborhood Development Corporation (with the Woodstock Institute, a report published by the U.S. Dept. of Housing & Urban Development, 1982).